Have you ever felt like you were too busy to practice? Although some exercises require dedicated space and time, it’s possible to dramatically improve your dancing with 30 second micro-practice sessions. This list gives the top five drills you can do anywhere to become a dance rock star! 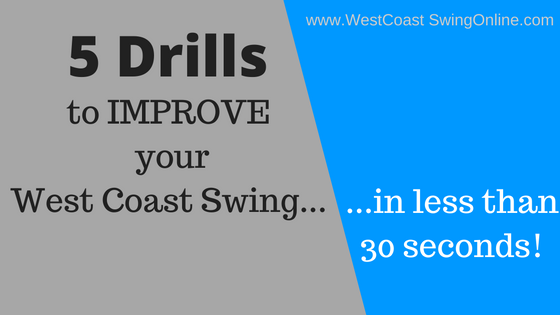 Want all 5 drills on video? Get them here! And sit up straight, too. Good posture is the key to connection, balance, and projecting confidence. In fact, working on your posture will make you look more confident outside of dancing too, and will help you avoid lower back pain later in life! For a quick correction, un-hunch your shoulders by rolling them up, back, and down. Lift your head and torso from your crown like you are a puppet on a string. You should feel better (and taller!) already. 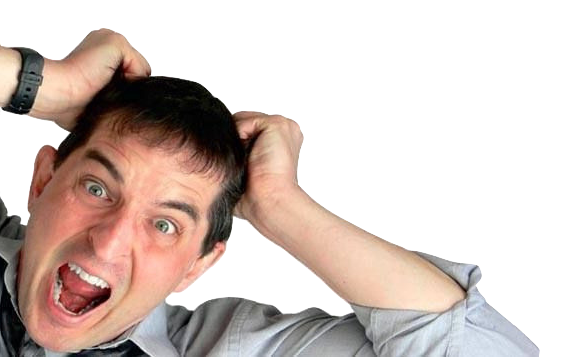 Take action>> Read this article to improve your posture! This is the quintessential “anywhere” drill. No matter if you’re in line at the grocery store, on the phone, or in the elevator, you can lift one foot off the ground a half inch and no one will notice. Balancing on one foot is the easiest way to improve your overall balance. Not only does it improve your proprioception (your sense of how your body is positioned in space), but it strengthens your stabilizer muscles and trains your body to make small corrections in order to maintain your balance. The result: improved stability, more balanced spins, and better spatial awareness! Take action>> Improve your balance with this great VIDEO! …Or your sink, or the door frame, or some other stable surface. You want to be able to move without pulling on your connection, so put your hand against the wall and see how much you can move while leaving your hand stationary. This exercise is great for working on shaping and footwork variations on your anchor, body movement, and spacing. See how creative you can be! The “look” of WCS comes from rolling through the feet. Being able to control your foot articulation makes your dancing smoother, enables you to dance to extremely fast or slow songs, and gives you better control over your movement. You can practice rolling through your feet anywhere that you can stand! Focus on controlling your foot articulation so that you can direct your body’s movement at any point in the dance. Take action>> Improve your footwork with this great drill! 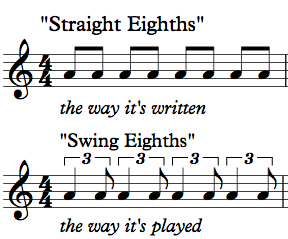 Great musicality comes from instinctively recognizing when a song is building to an accent. 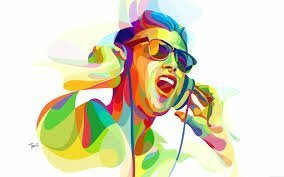 Any time you hear a song—especially if you’re thrown into the middle of the song, like when you turn on the radio—you can practice finding the one and develop that instinct. The next time you hear a song, just point or tap your finger on the 1. You can do this while driving, in a meeting, or even just talking to people (as long as you keep it subtle!). 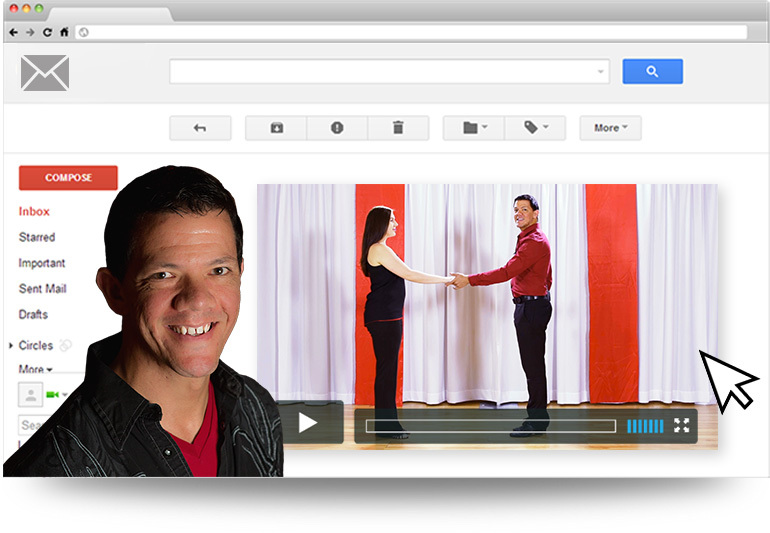 You’ll be amazed at how quickly you start to know that accents are coming when you dance. Struggling with musicality? 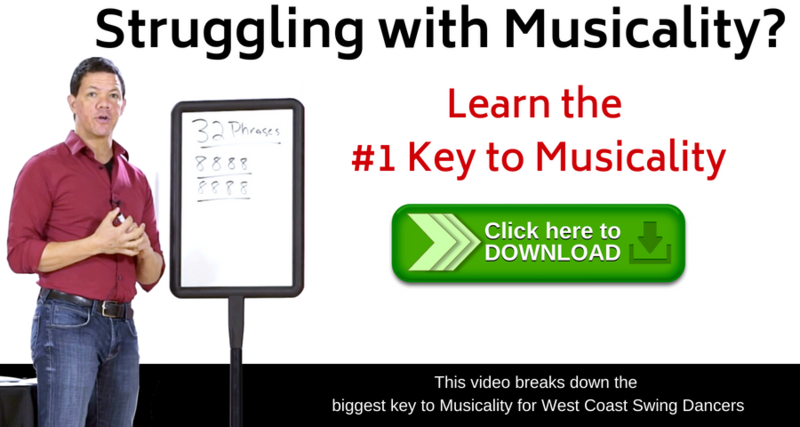 Learn the #1 key to musicality inthis video! The real lesson behind these drills is that practice doesn’t have to be long or stressful. The real key is repetition. If you pick one of these drills and commit to doing that drill for 30 seconds whenever you can during a week, you will be much better by the end of the week. Anyone can find 30 seconds to fix their posture, and anyone can fix their posture several times a day if they’re thinking about it. The question is: will you? BONUS: I have something for you!